Medora is a city in Billings County, North Dakota, United States. 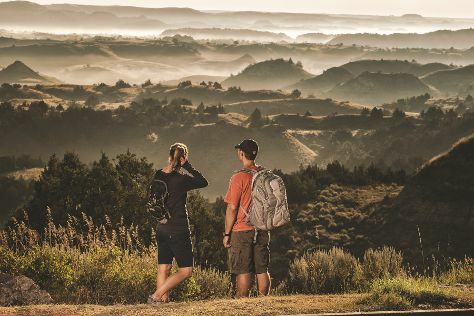 You'll find plenty of places to visit near Medora: Theodore Roosevelt National Park (Elkhorn Ranch Site & Peaceful Valley) and O'Fallon Historical Museum (in Baker). Spend the 23rd (Sun) exploring nature at Theodore Roosevelt National Park. There's still lots to do: appreciate the extensive heritage of South Unit, cruise along Little Missouri National Grassland, get engrossed in the history at Chateau de Mores, and hike along Oxbow Overlook. For where to stay, other places to visit, traveler tips, and other tourist information, use the Medora trip itinerary builder . In June, daily temperatures in Medora can reach 76°F, while at night they dip to 50°F. On the 4th (Thu), you'll travel back home.